Saber Sign Solutions helps you take advantage of the digital world by offering the latest technology in the electronic sign industry. 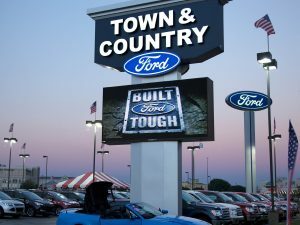 Our options range from fluorescent signs, high-intensity displays (HID), incandescent signs, LED signs, neon signs, and many more. 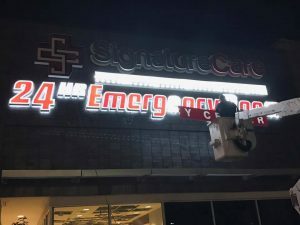 We’ve been in the sign business long enough to know that the best signs are usually the ones that get noticed right away…and this is exactly what our electronic signs are capable of. 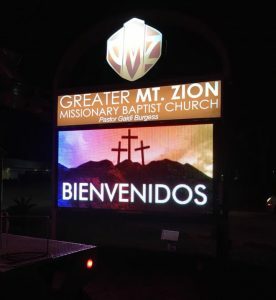 Through modern, interesting, highly customizable, and (of course) cost-effective digital displays, Saber Sign Solutions lights the way to business growth. Saber Sign Solutions understands that for every business, time is gold. This is exactly why we want your establishment to catch consumers’ attention 24/7. 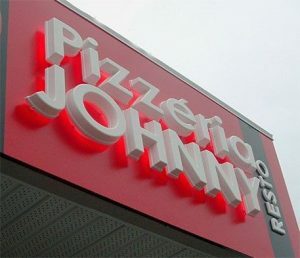 We want your brand to get noticed day and night…and sometimes an ordinary business sign just won’t do. Saber Sign Solutions looks forward to giving you quality electronic signs designed, crafted, and installed by local sign specialists. With Saber Sign Solutions, you can say goodbye to the limitations of static signs. Our digital signs help engage your market through highly customizable content that can even include photos and videos. So whether you go for monochrome, colored, indoor, outdoor, single-line, or multiple-line displays, you have the power to send messages specifically tailored for your market. Working with Saber Sign Solutions means partnering with a strong team of electronic sign experts who have years of sign-making experience under their belts. Keen to detail and highly efficient, you can count on us to set up and install your electronic signs on schedule and according to your budget. And we don’t just want you to be happy, we want you to stay happy. Besides working closely with you from design to installation, Saber Sign Solutions also offers technical support and maintenance assistance with your electronic displays. Do you want to know how your business can catch up with an increasingly digital consumer market? Saber Sign Solutions knows switching to electronic signage is one proven way to do that. We’d love to discuss how going digital can boost your business’s visibility, catch potential consumers’ attention, and save money in the long run.